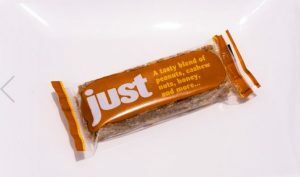 At Devonvale we specialise in producing a comprehensive range of high quality, individually wrapped hand baked tasty sweet snacks including flapjacks, crunchy cakes, crumble bars, shortbread slices, oat cookies, cakes and cereal bars. We make in excess of 7 million products per annum with a range that includes over 40 different product types. 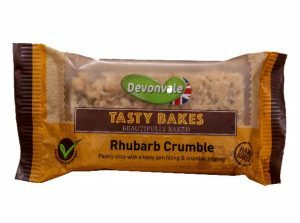 Ideal for vending, the Devonvale range is all suitable for vegetarians, with 9 products suitable for vegans, which will be showcased at this year’s Vendex Midlands Show, including a range of 4 tasty crumble slices available in blackcurrant and apple, rhubarb, apple and raspberry and strawberry varieties. Also selling particularly well in 2018 and destined to grow further in demand in 2019 are Devonvale’s 3 Just Cereal Bars, which are highly nutritious and tasty and feature variants of, fruit and nut, cranberry and seed and honey and nut. The Devonvale bakery is also a specialist in private label and is happy to discuss any opportunities you may have. Visit the Devonvale Bakery on stand 9 at Vendex Midlands 2019 and have a chat with Martin, the Commercial Director.